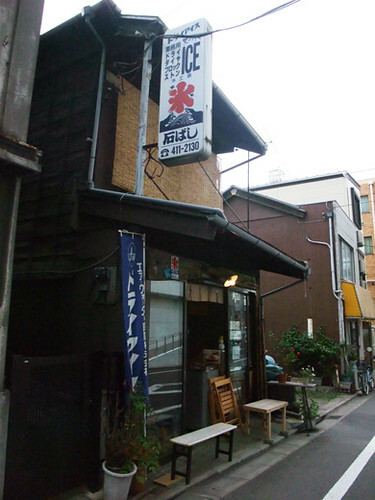 Gion Tokuya came from Kyoto, now we can have their good Japanese sweets in Tokyo. 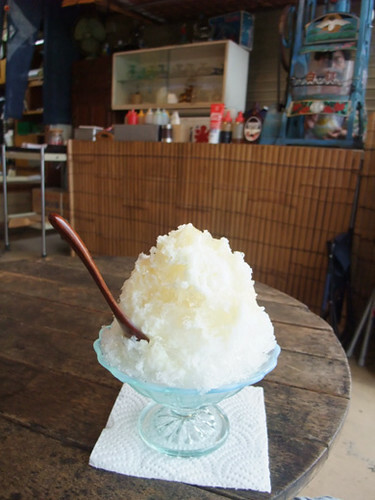 I chose shaved ice with their homemade condensed milk, sweet bean paste, and dumplings. 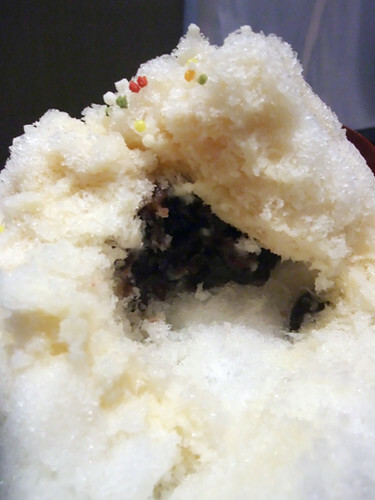 Tiny colorful crunchy rice crackers on the ice. 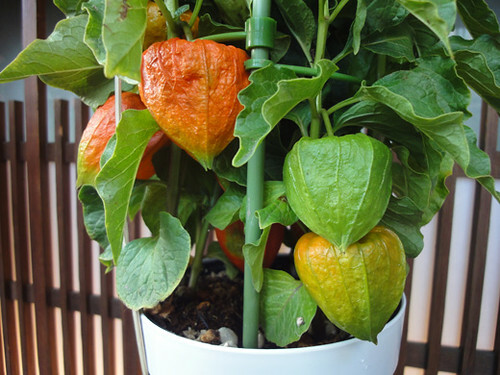 Beautiful and yummy! We ordered a vegetable plate, a quiche plate and pancakes. 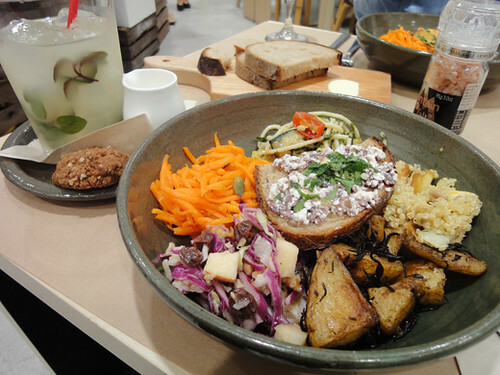 We were able to feel that they concerned to use the freshness of the vegetables and other ingredients. The beautiful manga cover girl wears Gucci! 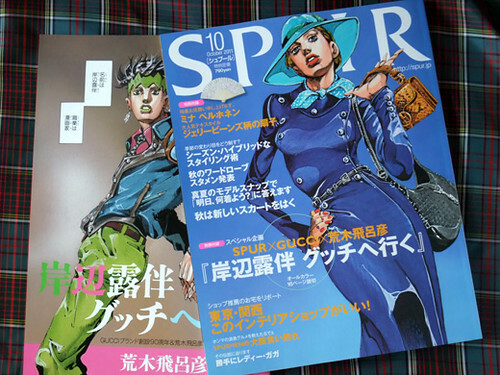 SPUR (famous fashion mode magazine in Japan) and Gucci collaborate with Hirohiko Araki, manga artist of “JoJo’s Bizzarre Adventure”. A separate volume came with the magazine. 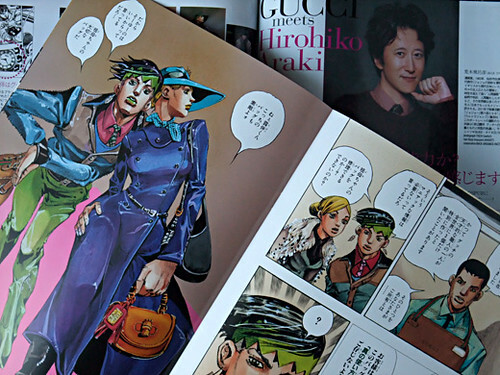 One of the hero of JoJo Rohan Kishida goes to Factory of Gucci with cover girl. 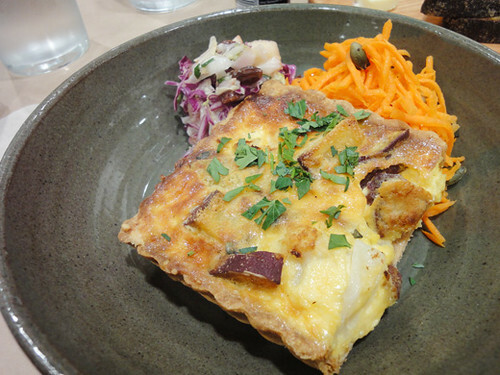 My friend and I went to the Rose Bakery for lunch at Marunouchi in Tokyo. 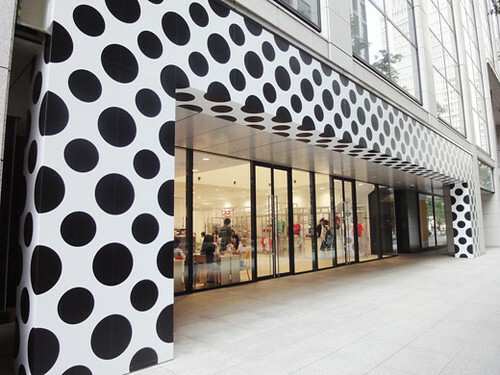 The cafe is located inside of the Comme des Garcons shop. 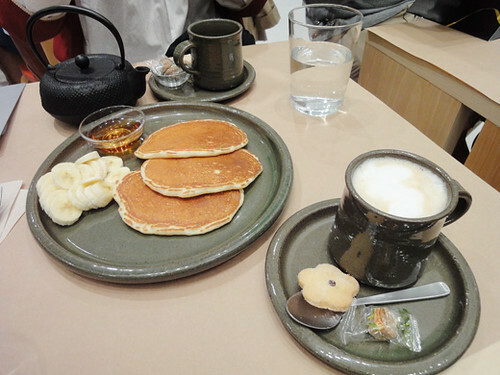 Also, the cafe was designed by Mr. Rei Kawakubo who is a designer of Comme des Garcons. It has a lot of wide open spaces. 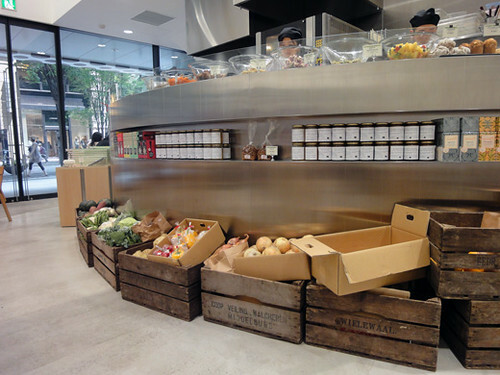 And, it is fun to see a lot of colorful fresh vegetables, prepared foods and tea boxes that are placed beautifully. 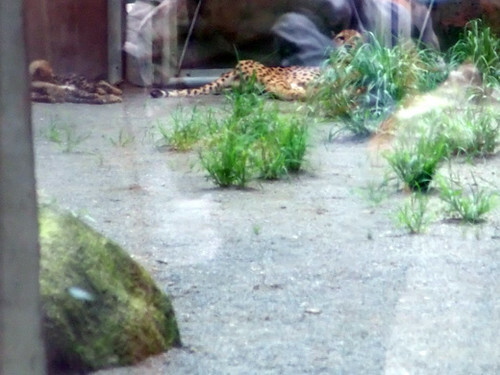 I went to Tama Zoo to meet cheetah & snow leopard cubs. The day was too hot, almost 100 degrees. I couldn’t see them well. 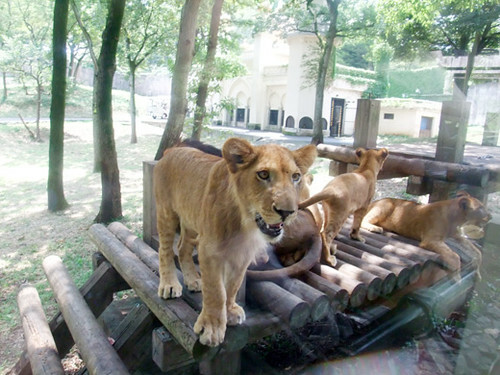 So I tried to meet lion cubs, they’re almost grown-up but looks young and curious! 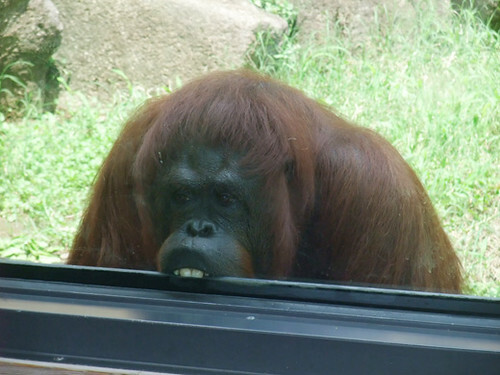 And I had not expected, orangutans were interesting. They enjoyed trying to rope dancing. 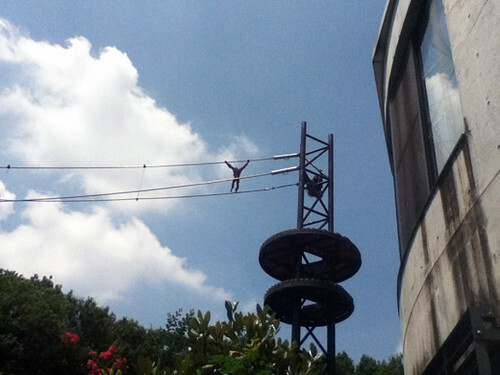 It’s VERY high! And the one it’s not a duty of the rope show looks like envy them! 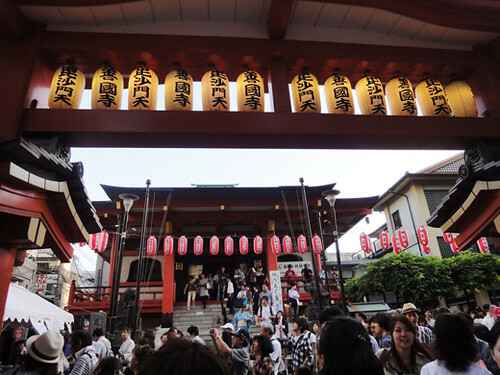 My friend and I went to the Hozuki-fair in Kagurazaka (Shinjuku). 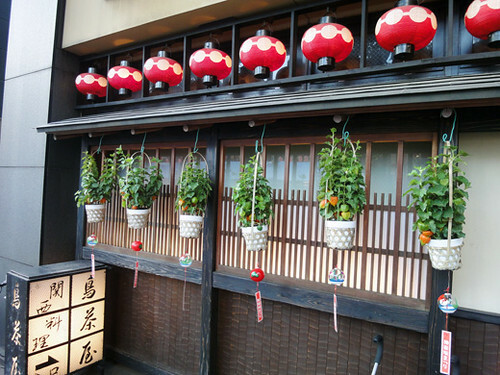 Potted Hozuki were sold in the festival. 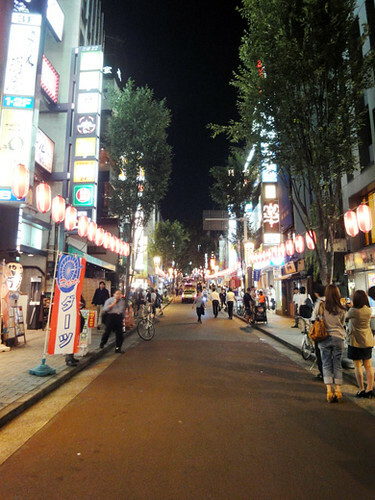 Also, a lot of stands were set up at the shopping street. The smell from the stands made us very hungry. 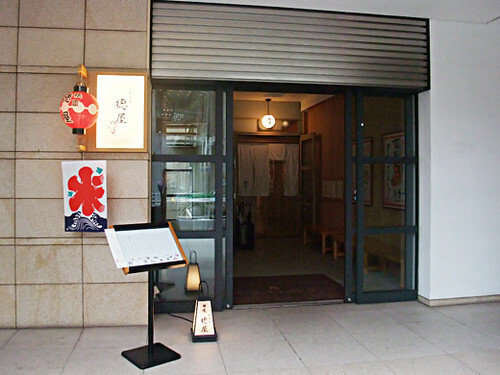 At the 21st Century Contemporary Art Museum shop in Kanazawa, products have gone on sale from the “Maiden’s Kanazawa Exhibit,” a collection of Kanazawa handicrafts and specialty goods. 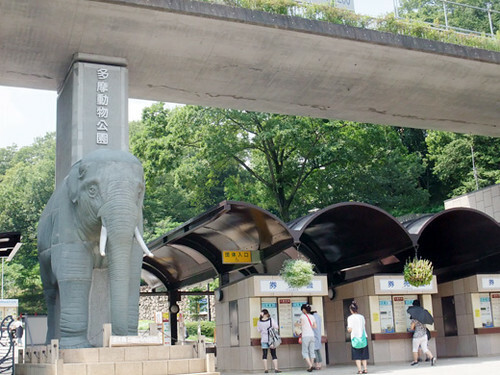 Because this collection is limited to the summer, it will be open until Aug. 31. 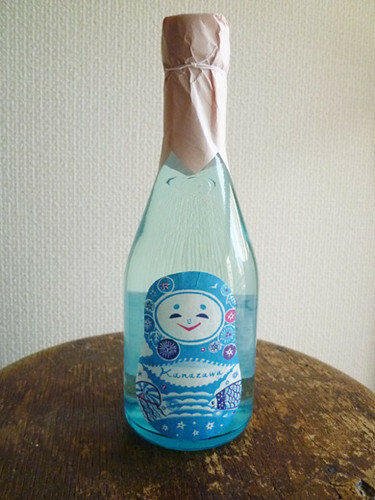 The Fukumitsuya sake bottles are also very summery and cute. 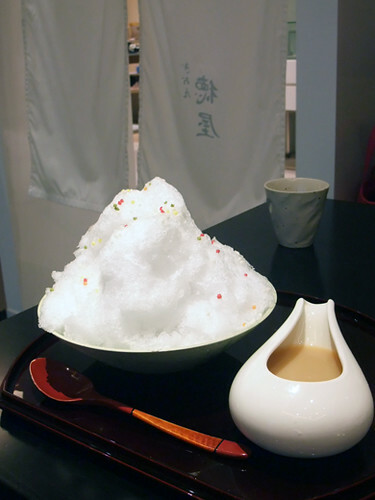 Ishibashi is a shaved ice speciality shop! 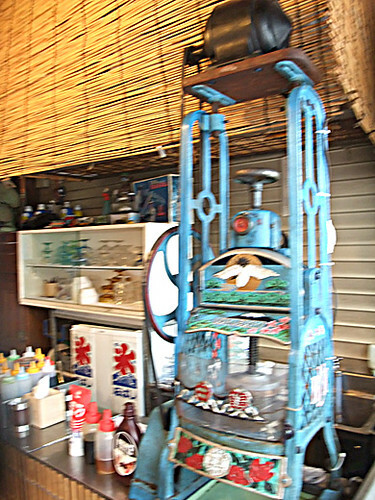 It is very nostalgic Showa era style shop. You can choose many good flavor. 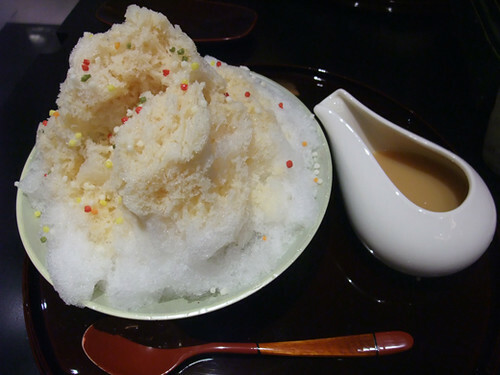 I had honey & condensed milk one. 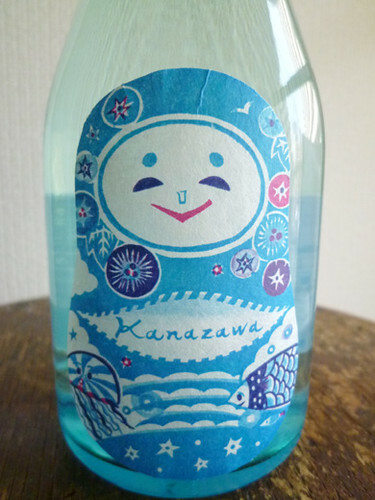 It was so nice for a hot summer day!